Buying a gift for someone who loves to knit can be difficult regardless of whether or not you're a knitter yourself. What you need is a list of fun and highly useful knitting supplies and accessories to help you get started. Your biggest challenge will be making sure the recipient doesn't already have the particular item you're considering. This means you'll have to do a little detective work on your own to get an idea of which supplies and accessories your knitter already has. Compare them to the items on this list, and then you'll be ready to shop. The Hadaki French Market Tote makes a wonderful gift for knitters who like to take their projects with them when they travel. The bag has a magnetic closure and a large cavity as well as inside and outside pockets to keep supplies organized. 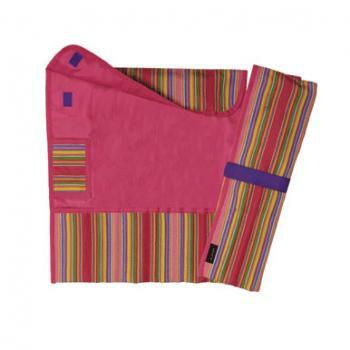 Made from water-resistant fabric, there's no worry about projects getting wet if it rains. At around $50, this is not the cheapest tote on the market, but it has a lot to offer. 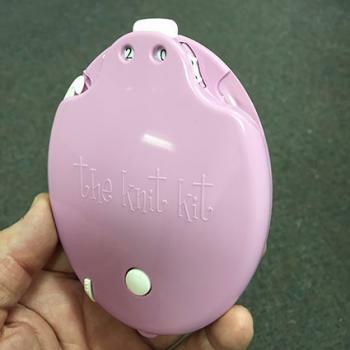 This handy compact knit kit is the equivalent of a Swiss army knife for knitters and contains a number of small tools that are indispensable for those on the go. The kit includes a tape measure, stitch counter, thread cutter, stitch markers, collapsable scissors and point protectors for needles. 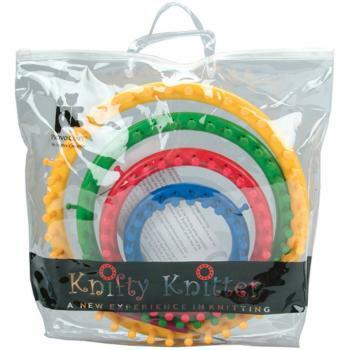 Priced under $30, knitters should keep one of these kits in every knitting bag they own. When you're in doubt about what to give, a mug is always a handy option. In addition to holding beverages, a themed mug can also be used to store small accessories. 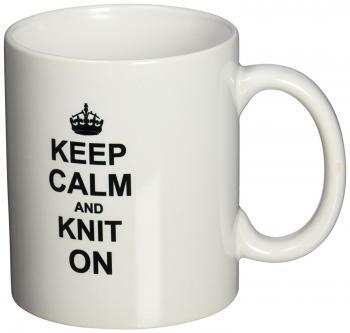 This attractive mug is printed with the motto "Keep Calm and Knit On." It's dishwasher-safe, holds 11 ounces, and sells for about $12. A true knitter's eyes will light up when she lays eyes on these earrings. Each earring features a ball of yarn holding knitting needles. 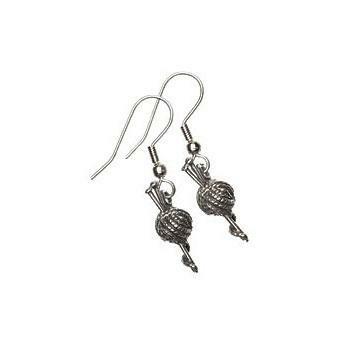 These French wire-style earrings are made from surgical steel, so they're perfect for anyone who has a nickel allergy. Priced around $8, they certainly won't break your gift-giving budget. This ceramic bowl with its artistic yarn feeder slit offers the perfect place to hold yarn while knitting. The ball won't roll around and take a tumble to floor, so it stays clean and untangled. 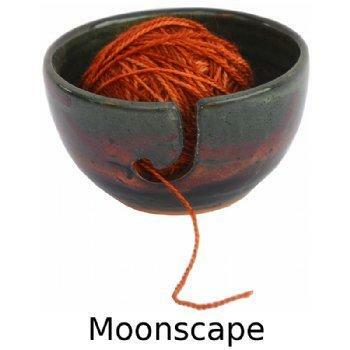 Priced around $40, this bowl makes a lovely gift that can be passed on to future generations of knitters. 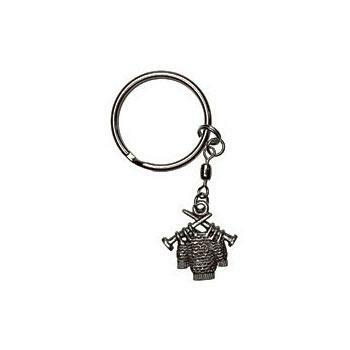 This charming key chain features a sweater still attached to knitting needles. The piece measures under three inches total and is comprised of a ring and the sweater charm. Priced under $4 dollars, it makes a cute and practical gift for anyone who enjoys this hobby, including your favorite knitting instructor. Knitters tend to amass quite a collection of needles through the years, so a knitting needle case can make an excellent gift. There are different kinds of needles, such as single point and circular, so be sure to find out which kind of needles your knitter usually works with before you buy. Priced under $13, a needle case is a highly useful gift that won't break the bank, and most knitters can use more than one. This set of four round looms lets anyone knit without using traditional knitting needles. It's great for beginning knitters, but even experienced knitters will enjoy the novelty of using these looms. The looms come in four sizes, and each kit contains a hook, pick tool, and instructions. The set retails for just over $15. Serious knitters will appreciate a winder and swift combo that can help them create neat, tangle-free balls of yarn. You could purchase both of these tools separately at nearly any knitting supply store, but people who are just getting into knitting and don't have either of these tools yet will really appreciate this set. It runs about $100. 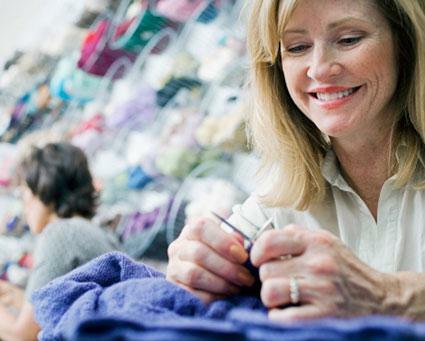 If you don't want to risk buying your favorite knitter something she might already have, consider giving a gift certificate to a craft store that sells a large selection of knitting supplies. The certificate could be used toward the purchase of more expensive specialty yarns, instruction books, or tools your knitter has longed to buy but could never justify the expense. Nothing is better than a gift that lets you splurge. 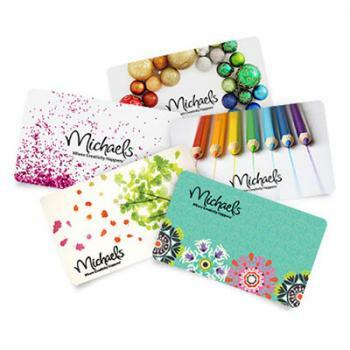 Places to purchase gift certificates include national chains like Michaels and Hobby Lobby, but you might also be able to get them at yarn stores that are local to where your knitter lives. Wrapping your gift can be almost as fun as giving it, so consider using some specialty yarn for the ribbon and the bow. This is a detail your knitter surely won't overlook, and it gives a little hint about what might be inside. With this little extra touch, your present just might turn out to be the best gift she receives all year.